Trusted by over 200 leading Chicago-area businesses. The Larko Group was founded in 1993 by Russ Larko, a Certified Personnel Consultant with over two decades of experience in the staffing industry. We enjoy a well-earned reputation for timely and accurate placement, unparalleled customer service, and outstanding candidates. A fair and honest recruiter. The Larko Group’s exacting screening process guarantees that we only place qualified candidates. Our reputation as an exceptional agency attracts the most talented and hard-working individuals. Many of our temporary employees stay with us for years, because they appreciate our excellent benefits and training opportunities. The goodwill we create with our candidates is something that benefits your organization! Russ earned a BS in Marketing and Management from the Kelley School of Business at Indiana University and has been working in the Recruiting and Staffing industry over 20 years. 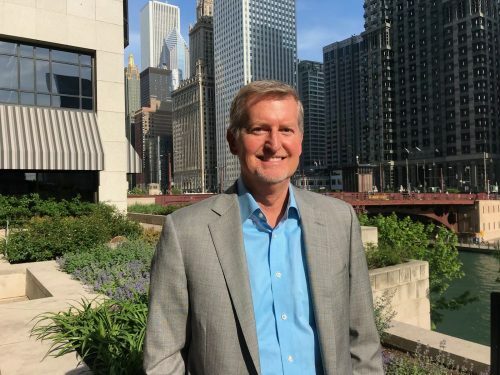 He spent several years at a large Chicago area employment firm, and rose from top sales consultant to Director of Operations at their loop headquarter office. He founded The Larko Group in 1993, and remains actively involved in the day-to-day operations. Russ is a huge Chicago Bulls fan and an avid golfer, racquetball player and paddle tennis player. Annette was born and raised in Brooklyn, New York, relocating to Chicago over 20 years ago. She attended Pace University where she studied Marketing. Annette’s background began in Human Resources at a Fortune 500 firm. She also worked in a political office supporting operations for the Speaker of New York City Assembly. 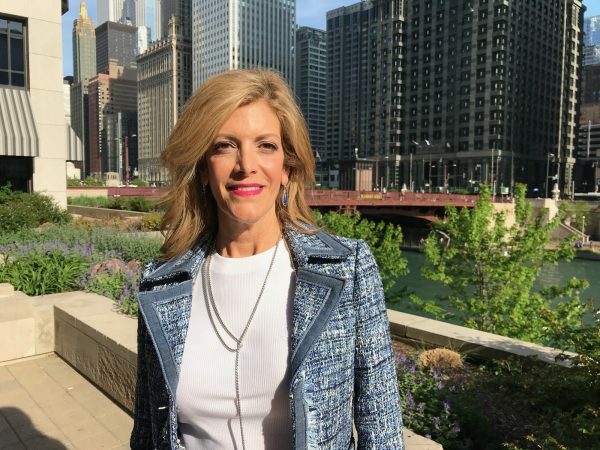 Annette started in staffing after her first year in Chicago; the recruiter who placed her at her first position started her own firm and asked Annette to work with her. She has been in the staffing business ever since September 1991. From 2000 through 2004, she operated her own staffing firm before joining The Larko Group. Annette resides in Wilmette with her husband and is extremely involved in philanthropy. She has been completely dedicated to The University of Chicago Cancer Research Foundation for 15 years where she held office as President, Auction and Benefit Chair. She also very much enjoys cooking, gardening, entertaining friends, spending time with family, and travelling. 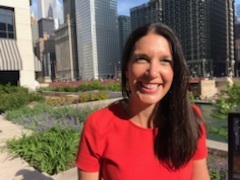 Born and raised in a northern suburb of Chicago, Colleen decided a much warmer climate for a few years was in order so she attended Arizona State University and graduated in 2006 with a BA in Human Communications and minor in Sociology. 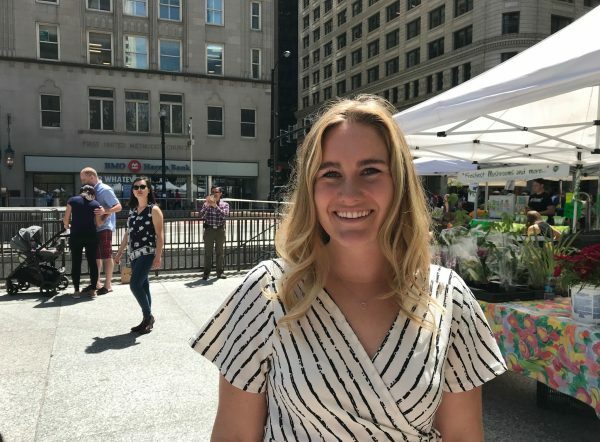 After graduation she came back home to Chicago where she worked in retail for a few years hoping to gain experience to work in their corporate office instead of the store, but that was cut short upon being laid off during the recession. Although frustrating at the time, this caused Colleen to reach out to The Larko Group for temp work while looking for full time jobs. After one temp assignment, Russ Larko called her back into the office to interview for an internal role as a Recruiting Consultant and she was extremely happy to start her career at TLG in July 2011. She feels very lucky to be a part of such a great team! 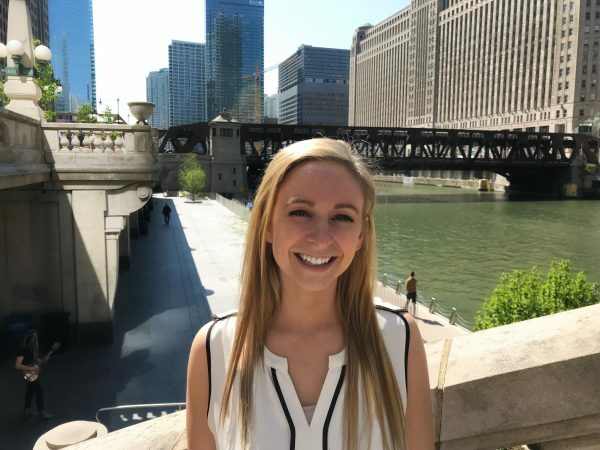 When she is not working, Colleen enjoys trying the newest brunch places in the city and of course cheering on her favorite Chicago Blackhawks!! Megan is a native of Chicagoland, growing up in Wilmette where she played competitive sports and participated in musical theatre. In 2011, she graduated from Indiana University with a degree in English. After a brief stint in New York City working as an Executive Assistant, she returned home and started a career in the staffing industry. Russ Larko recognized Megan’s “gift for gab” and ability to connect with people. 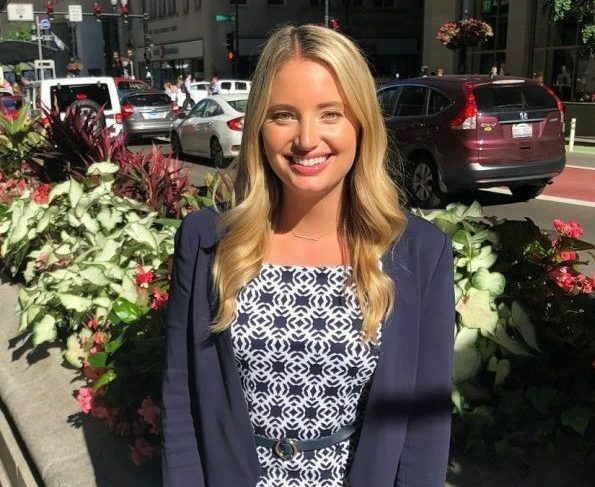 What she enjoys most about working at TLG is making matches between Chicago’s administrative talent and blue chip clientele. When she is not networking with candidates and clients, Megan enjoys spending time with her family and friends, blogging, listening to true crime podcasts, and working out. Kelsey graduated from the University of Missouri in 2017 with an degree in Business Administration with an emphasis in Marketing. She decided to come back to her home town where she could work in the windy city, and enjoy the snowy weather during the winter season. After graduation, she was referred to The Larko Group to help kick start her career. After meeting with the team, she was offered the opportunity to join TLG! This is her first career opportunity coming out of college and loving it! When she is not in the office she loves spending time with her family and two mutt dogs, Emma and Oakley. Abbey graduated from The University of Iowa in 2016 with a degree in Fine Art and a minor in psychology. 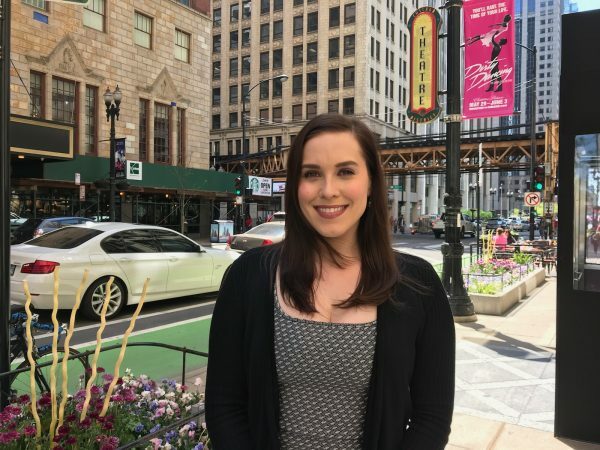 After working in the south suburbs as a program director for a non-profit organization, she was looking to relocate to the heart of Chicago. As fate would have it, The Larko Group was looking to add a new member to the team! Abbey was initially recruited to interview for external positions, but upon meeting the team was asked to apply for The Larko Group internally. After experiencing the candidate experience first-hand, Abbey knew she wanted to not only be a part of the team that had left her feeling excited and hopeful about the future, but to help other candidates feel the same way. Abbey is a people person who is dedicated to working hard and helping others. She has a mean sweet tooth and a passion for the arts. She likes to spend her time playing with her pup, Ollie and eating her way through Chicago’s best pizza places. Amy graduated from The Kelley School of Business at Indiana University in 2016, earning a degree in Management, Marketing, and Psychology. After graduating, Amy worked for 2 years as a consultant at a boutique consulting firm located in Chicago. This experience allowed her to gain expertise in client interaction, data analytics, and most importantly to discover that her passions lie within people interaction surrounded in a fast-paced environment. Amy had always hoped to enter the Recruiting industry after growing up surrounded by family members in the Recruiting business. When Amy is not at the office, she enjoys discovering new music, trying different workout classes, and exploring local food spots around town. Ali graduated The University Of Arkansas in 2012 with a degree in Communications. After graduating she worked in sales then as a Showroom Manager for an Interior Design Firm in Dallas, Texas, where she is originally from. In the summer of 2018 she moved to Chicago for a new start and a career change. After temping with The Larko Group she was offered an opportunity to join the TLG team permanently! 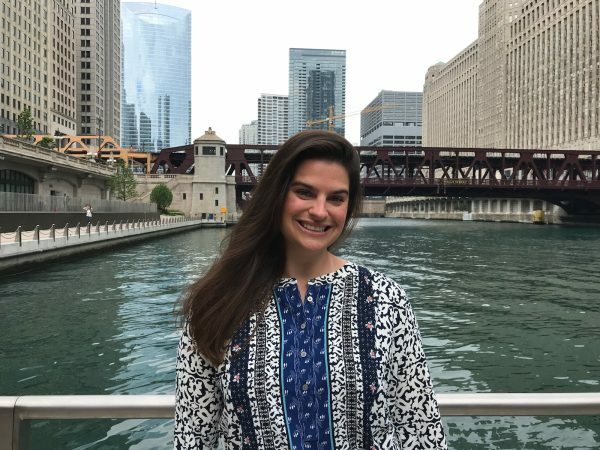 When Ali is not at the office she enjoys trying new restaurants, cooking, traveling and getting to know the beautiful city of Chicago. Julie is a boomerang TLG employee and is thrilled to be back with the team. From her first job as a staffing consultant recruiting legal admins to management consulting to her most recent role as a clinical recruiter, Julie embraces everything recruiting is about and loves helping individuals reach their goals and find their dream jobs. Working with administrative professionals is at the core of her experience and what she loves doing more than anything. She recently became a Certified Professional Coach and plans on taking additional master classes with a focus in career management. When not working Julie is a creative wannabe and is constantly honing her writing skills, creating stories that maybe, someday, will be shared with others. An at home Scrabble champion, a pretend Top Chef contestant and a doting new fur mom to two cats round out her life!